While in inventory, if an enchanted item is picked up (I.E. clicked on) the background rendering either goes dark or white/gray. I expected the rendering to remain the same as it does for non-enchanted items. The rendering glitches and produces a darker or lighter image. MC-35732 Chest text is white, and bugs out. MC-35781 The name of the categories is white!!! MC-36421 Names of title changes. 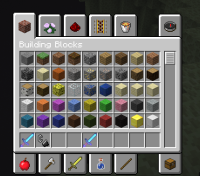 MC-36466 When I select between Tools, Combat and Brewing it turns the text into white from black and when I select this 3 the Potion effect disappear and when I select an item again it turns back. MC-36874 Some things changes into something else! 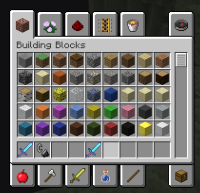 MC-38096 Color of text in all GUI's change randomly, especially when moving items within it.